We searched long and far to bring back this sleek 1930s retro scooter. 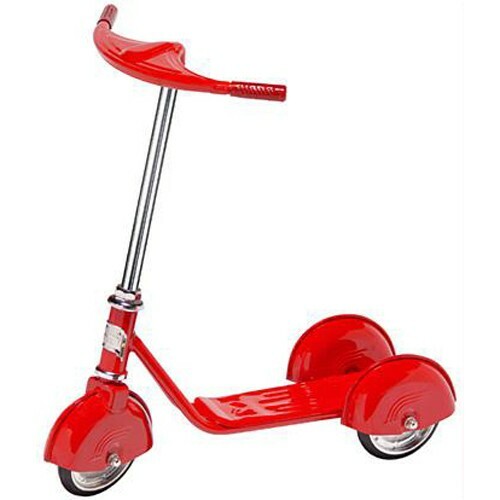 Designed for safety and durability, this scooter stands up-right on 3 wheels. Adjustable handlebar height. Features old fashioned pressed-steel construction, with chrome wheels and solid rubber tires. Dimensions Length 23" Width 9" Height 25"